Ready To Get Started? Schedule NOW! Your Biggest Investment, Deserves The Best Inspection. The most complete inspections at the best price. Insure the air in your home is safe! Have it periodically tested, because radon varies over time. Make sure that your well or spring water is safe to drink! We offer three levels of water testing. Otherwise known as the Wood Destroying Insect Report. Your pest inspector will be looking for bugs that love wood. Commercial property inspections, our inspectors bring years of field experience. Mountains To Sea Inspections started performing home inspections in the Asheville NC area around November of 2013 under the name Blue Ridge NC Home Inspections. 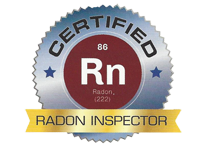 We have always made it our goal to provide the most thorough home inspections, radon testing and water testing in the home inspections industry in Western North Carolina; while providing it at a competitive price. With our primary office located in Asheville NC we can cover quite a large service area from Hendersonville to our South, Waynesville out to our West, Black Mountain to the East and Weaverville and Mars Hill to our North. Between our Boone NC office and our main office in Asheville we can service nearly all of Western North Carolina’s home inspection needs. Our dedicated crew of home inspectors in Asheville and our Boone home inspections office take pride in helping each of our clients better understand their home or potentially new home. All of our home inspectors in Asheville and Boone bring years of construction experience to every single inspection they perform. At Mountains To Sea Inspections, we know your home better from the footer to the roof than anyone in the Asheville home inspections industry. We also know that providing a quality home inspection in Asheville at an affordable price is the ultimate goal. Our founders, Brian Barrett, and Shannon Williams are both active licensed General Contractors in the State of North Carolina and the head of our Boone division, Tommy Williams, has been a General Contractor for over 30 years. Curious to see what your home inspection report might look like? Click here to view a sample home inspection report. You can also see whats included in a home inspection report here. Let us bring this experience to the table for your next home inspection. Our motto at Mountains To Sea Inspections is, “Your Biggest Investment Deserves The Best Inspection” So, whether this is your first home or tenth, let our home inspectors near you give you peace of mind about your next home. 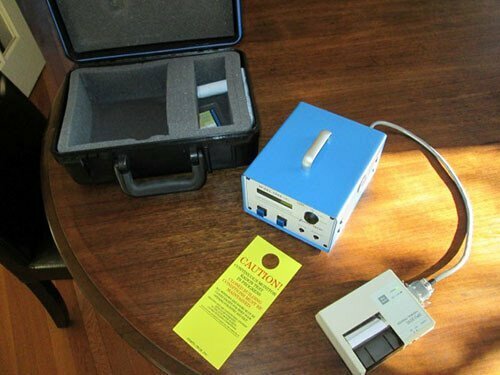 Lets face it, Radon Gas, a odorless, and colorless gas, and its impacts are well documented and more home owners and home buyers in the Asheville, Boone and other WNC areas are becoming aware of how easy it is to perform radon testing in Asheville. At Mountains to Sea Inspections, we rely on digital monitors that sample the air column every hour and measure not only the concentration of radon gas, but also the relative humidity, barometric pressure, temperature and whether the test has been tampered with. The public is also becoming more aware that the mitigation for radon gas is extremely successful in removing, or at least lowering, the levels of this very harmful gas. However, before you can mitigate you need to know its there and at what concentration. Please note that radon testing is a add-on service and is not included in the pricing of your standard home inspections report. Click For More Info On Radon Gas! When buying a home, we at Mountain To Sea Inspections strongly recommend performing a Pest Inspection and receiving a full Wood Destroying Insect Report (WDIR) in conjunction with your home inspection to get a full view of the condition of the home. During the pest inspection in Asheville, your certified pest inspector will be looking for signs of both active and inactive infestations of termites, powder post beetles, old house borers and other pests that love wood. We are happy to offer pest inspections as part of your home inspection and will make all arrangements for a licensed pest professional to look at your home. Please let us know that you will be requiring this service when making your appointment. More Info On Pest Inspections! Many residences do not have access to a public or community water systems that are regulated by the State of NC, but rely on wells and spring fed water sources. Make sure that water is safe by testing it. At MTS Inspections we not only provide the basic Ecoli & Bacteria well water testing, but can also provide the more comprehensive Well Scan water testing if mineral content, pH and other items are of importance. Ask yourself this one question, Is Your Drinking Water Safe? Get Your Water Tested Today! At Mountains To Sea Inspections, we are well known for our residential home inspections, but did you know we have been performing commercial building inspections as well? Drawing from years of construction experience in the retirement and hospitality construction industry, our commercial property inspectors know the difference between your commercial building and your home. Make sure you choose an inspector who brings that field experience to your next commercial investment property. 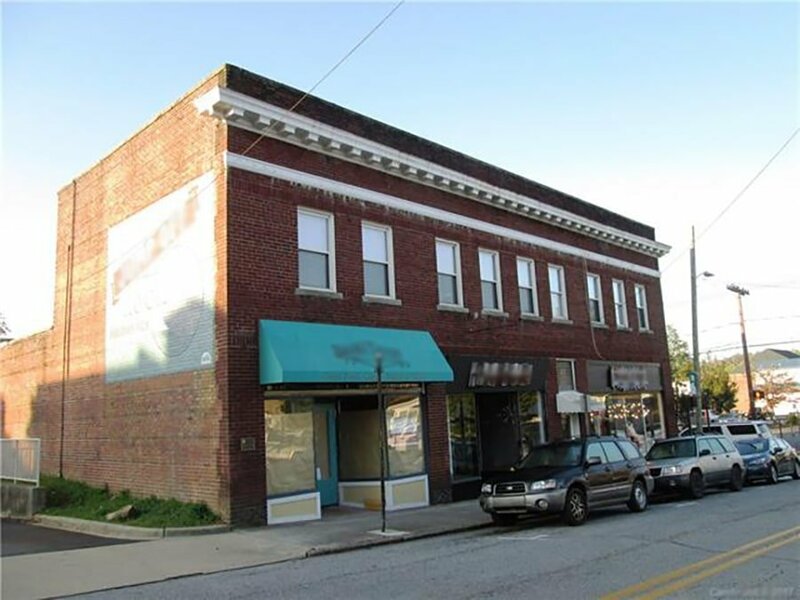 While home inspections in Asheville can follow a pricing structure based on square footage, commercial property inspections are as varied as the available properties in the market and a fixed pricing platform simply will not work. Contact us today and let our experienced team customize an inspection and price that is right for your commercial inspection needs. More Info On Commercial Property Inspections! Schedule Your Home Inspection TODAY!!! Schedule your inspection today with one of our certified home inspectors as time slots go quickly!!! Please feel free to contact us if you have any questions. Our inspectors have YEARS of experience in the construction industry. Need referrals to qualified sub-contractors and remodelers, just ask! Brian completed the inspection like it was his own home. Highly recommend!! Schedule your inspection today as time slots go quickly!!! Please feel free to contact us if you have any questions. 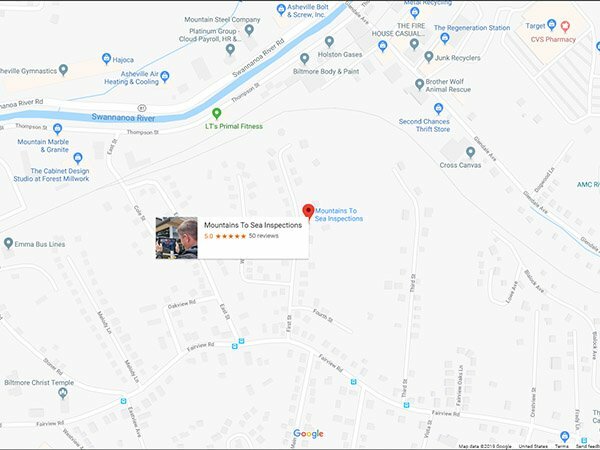 Mountains To Sea Inspections has our main home inspections office in Asheville, but are second home inspections location in Boone, NC services Boone, Banner Elk and surrounding areas and can be found on Facebook, and Four Square. If you prefer a more personalized experience you can contact us at (828) 712-2867. While Mountains To Sea Inspections got its start in the City of Asheville as Blue Ridge NC Home Inspections, we want to make sure that our clients and real estate agents realize that we cover most of Western North Carolina from Franklin to Boone and all points in between. 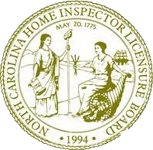 You do not have to settle for just any local home inspector, because Mountains To Sea Inspections covers such a large area and always places a 5 Star rated home inspector in your next home to make sure there are no surprises. Below is a quick look at some of the many areas and services we provide to those areas. As always if you have further questions or need assistance please contact us with the form below or clicking contact us right here.